The wedding season is about to begin, so here we are with the trendiest wedding lehenga designs to amp up your bridal couture for the year 2016! If you’re planning to get married soon and looking for the latest trends in bridal lehenga, well, look no further as that is EXACTLY what we have for you. While florals and gota pattis dominated the 2015 wedding market, 2016 is going to be a game changer. You could be a sassy last-minute decision maker or a bride who is obsessed about wearing the latest designs for your wedding day. This year has a little something in store for everybody and we’re sure you’re gonna love it. So, without further ado, let’s have a look at some of the trends that are going to make you swoon! 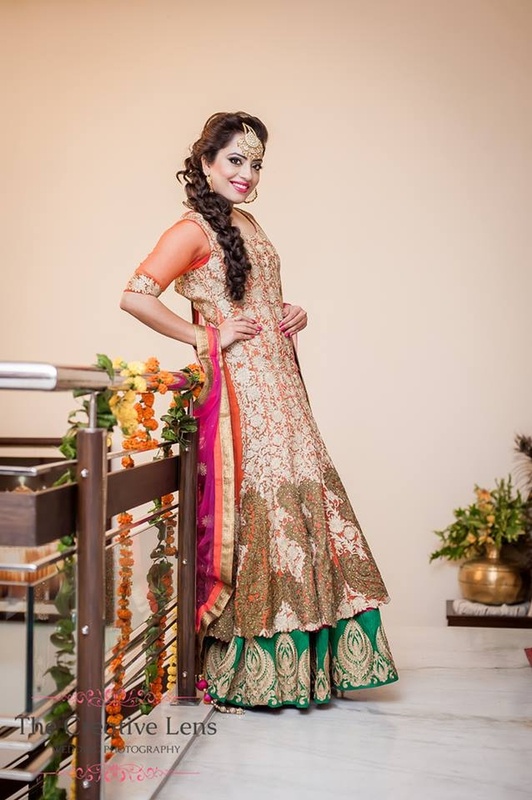 The inspiration for lehengas with trails has its roots in Christian wedding dresses. The flare and silhouette of the entire outfit lends an extremely empress-like feel and exudes a vibe of all things grand and royal. Solid colours coupled with prints serve as perfect canvases to mould a layered lehenga or one paired with a jacket. With multiple layers, it gives designers a chance to use different fabrics and also play around with ombre tones, lace and even use contrasting colours. Capes, coupled with lehengas, are all the talk of the town now and are an ideal pick for a Sangeet or Cocktail function. Silk lehenga-cholis, as well as skirts with capes, are comfortable enough for all your jhumkas, thumkas and bhangra moves, and still create the perfect blend of ethnic and contemporary styles. If you’re the kind of bride who likes to play it safe, then this lehenga trend is for you! Contemporary chaandballi motifs, floral prints and gorgeous weaves - all these lehenga designs are ideal to opt for when you’re in a fix. Remain rest assured; you can never go wrong with a contemporary or vintage style lehenga.